Top Rated 60-inch to 65-inch HDTVs & 4K TVs (2018-2019) – This page contains a roundup of the best rated large 60-inch to 65-inch LED and OLED 4K TVs, presented here for a comparison of price, features, and reviews. This size is good for large sized living rooms. You can check what size you need by consulting our HDTV Sizing Guide. At CES 2018, all of the TVs were 4K Ultra HD, as the industry is transitioning to 4K. Most 60-inch and larger LED TVs today are Smart TVs. As prices come down, we are seeing large HDTVs become more common. Click on the reviews link underneath each TV to see owner reviews and ratings for each model for easy comparison. For 2018-2019 almost all large screen TVs are 4K Ultra HD TVs, which have 4 times the resolution of full HD TVs. A Glossary of Terms is located at the bottom of the page. 4K HDR = This is the latest feature that actually does greatly improve picture quality. It allows for a wider range between bright and dark scenes, and makes colors look more natural. A true breakthrough in screen technology. Blu-ray discs and future content will be tailored to take advantage of this technology built into future TVs. We saw this technology in action, at a CES demonstration by Dolby Vision. SmartReview BEST of 2018 TVs = Our best of 2018 TVs are the Sony XBR X900F 4K Series and the LG Q7 OLED 4K Series. Both are at the top of their range in price, but the picture quality is outstanding. The new HDR features have greatly improved colors and details in the picture. We previewed both of these TVs at CES 2018. Dual Core/Quad Core/Octa Core/Processor = TVs with a Dual Core Processor will speed up Smart TV functionality and allow new features that slower processors cannot support. Quad Core processor are even faster than Dual Core and will enhance the speed of your TV even more. 4K Ultra HD (UHD) = 4K is the new standard in TVs. It has 8 megapixels of resolution, which is 4x the Full HD 1080p TVs currently on the market. 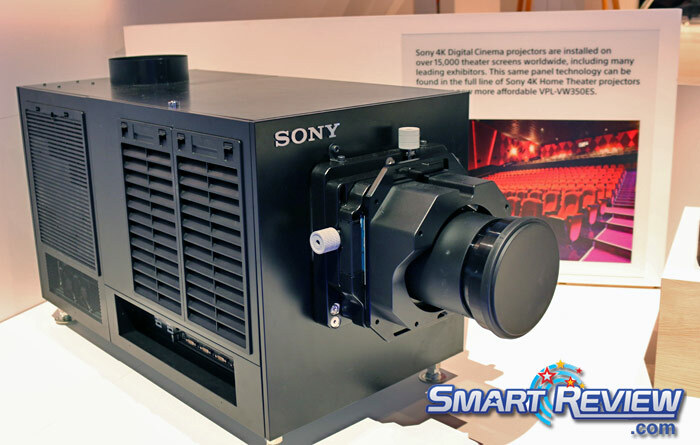 Movie theaters now use 4K Projectors, which is about the same resolution as these new 4K TVs, so you get movie theater resolution at home. This allows you to sit closer to the TVs as the pixels are smaller, and will give you a more immersive movie theater type of experience. 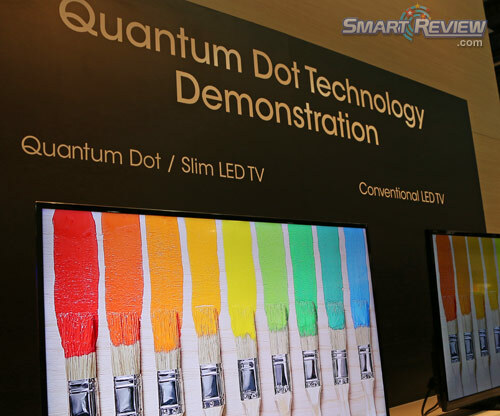 SUHD/Quantum Dots = In 2015 Samsung introduced its first of the SUHD line of TVs with Quantum Dots (also known as nanocrystals). This technology gives the 4K TV enhanced color range and brightness. This is only in Samsung’s Top end QLED TVs, LG’s Super TVs, and Sony’s TRILUMINOS™ Tvs. We previewed this technology at the Consumer Electronics Show, and it was the best picture we had ever seen on LED TVs. HEVC (H.265) codec = HEVC (H.265) is a new compression codec that is used to compress video. This new codec compresses twice as much data as previous codecs, so that 4K Ultra HD video can be sent over cable and the internet. HEVC (H.265) will allow 4K/60p playback for viewing 4K sports in the future. 4K/60p will also be available on future 4K camcorders. Almost all 2018 4K TVs will have HEVC installed. Netflix is using this technology to show 4K content such as “House of Cards”. THX 3D Certified = THX certification means that this TV will let you experience a motion picture with the same colors, black levels and other factors that were created for the theater. This is for 2D and 3D viewing. Edge/Local Dimming = Some advanced LED TVs have an LED backlight that can dim in certain areas of the screen. 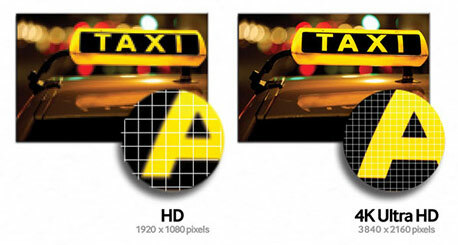 This can reduce backlight bleeding, halos, as well as increasing contrast, and improving the picture. With this technology you get blacker blacks and whiter whites. 240Hz = 240 hertz anti blur technology. Eliminates blur on LCD TVs during high action sports and movies. Internet Ready = This means that this TV can give you content from the internet. Content varies with the manufacturer. This TV will provide an ethernet port to connect an ethernet cable. Or you can buy an optional Wifi USB plugin device to send the internet wirelessly to your Television. Some manufacturers provide built-in Wifi. Some provide Netflix and youtube content. 3D and 3D Ready = This means that this TV is capable of displaying 3D content from broadcast and 3D capable Blu-ray players. This TV has a built in emitter can communicate with 3D glasses to synchronize with the picture displayed on the TV. Some TVs include 3D Glasses, and some you must purchase them. HDMI = HDMI inputs allow you to connect devices to your HDTV such as DVD and Blu-ray players and game consoles. HDMI 2.0 is a new standard for 4K TVs to allow faster framerates that will be coming for sports, and 4K camcorders.